Back in 2013 Nick Diaz announced he was starting his own MMA promotion. UFC president Dana White, his boss at the time, had some encouraging words for Diaz. “Good for him. Welcome to the losing money business,” White said. While White’s comment was a bit tongue-in-cheek, the point was made. If you’re looking to kill it in the business world, starting an MMA promotion probably isn’t the greatest investment. MMA promoters need to make enough to stay in business, but they usually have other aims and goals. Josh Sterry is a former pro fighter, so he knows the game all too well. 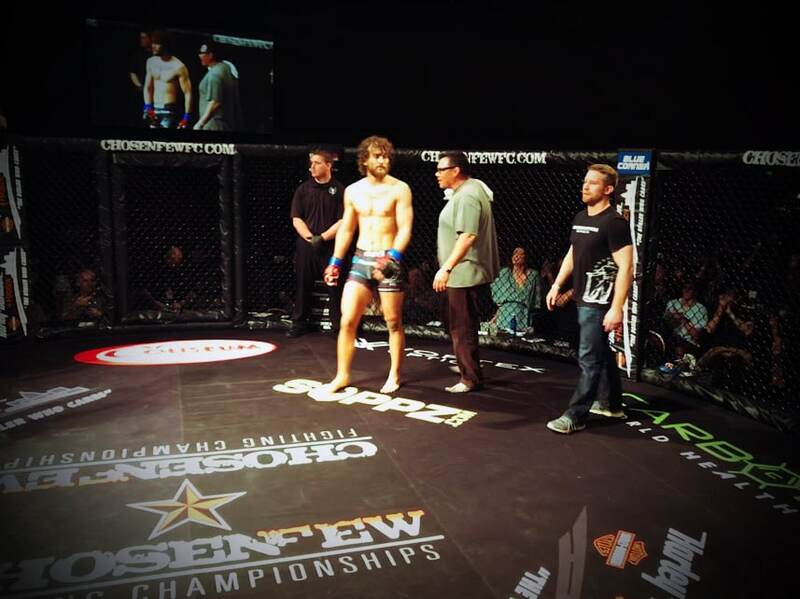 He started Chosen Few Fighting Championship and their first event was back in 2014. “I started this fight promotion for my fighters,” Sterry said while we spoke at CFFC 14. I spoke to him that Saturday night at the Monona Terrace Convention Center this past May. That event took place in Madison, also the home of Sterry’s Chosen Few Academy.” His fighters were incredibly successful, even against gyms with bigger names like Roufusport. Josh’s Chosen Few fighters were dominating. “I have always seen greatness in my fighters,” Sterry told me before the night began. And he was right; his fighters were great. When he started the fight promotion his intentions weren’t to get rich, or really even to make money. He purely wanted to help his fighters make a name for themselves. He wanted his Wisconsin gym to help fighters make it to the UFC, Bellator, or any other larger promotion. With the popularity of MMA as a global sport, there’s room for these fighters to make a living fighting. Promotions like the Wisconsin Ogitchidaa and new “leagues” like PFL are even being featured on networks like NBCSN. Three years later, Josh’s vision is manifesting, and his fighters are excelling. Many of them have already been contacted by larger organizations. Josh has four major sponsors after 14 shows and the CFFC is ran like a well-oiled machine. Among them are Suppz.com, Harley Davidson of Madison, World Health, and The Coliseum Bar & Banquet in Madison, WI. The event I attended with Josh ran smoothly, professionally, and was family friendly. I brought my 11-year-old daughter, who trains BJJ. She was very entertained by the female fighters who put on a great performance. Josh’s show is a testament to what the right focus can do. He constantly works towards the betterment of the fighters and ensures that he always has the right partners on his team. In return, he consistently creates a top notch production. Steve Bassler, owner of the Coliseum Bar where the event was held, told me all about his support of Josh’s fighters at the promotion. He’s one of their major sponsors, and attended the event ringside with a number of VIP guests. 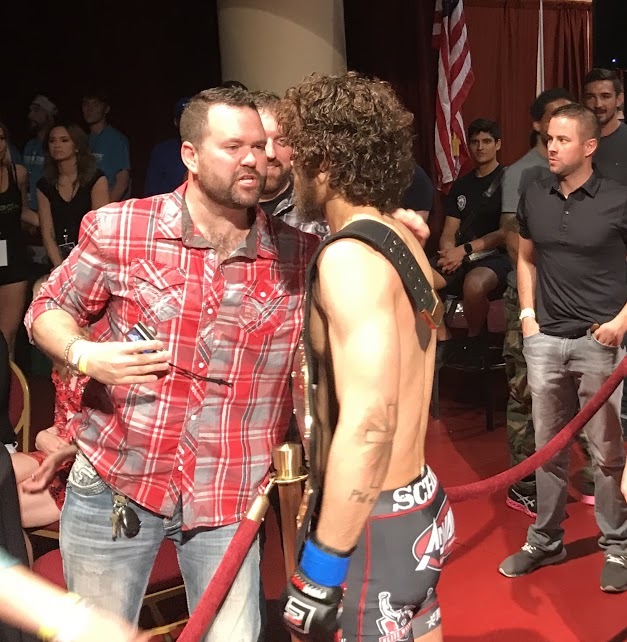 Josh has been doing three events per year and when we sat together back in May, he was confident his fighters were soon going to get the call to fight in the UFC. “You will see Alex Gilpin in the UFC soon,” Josh said about one of his fighters. Gilpin had been getting national exposure from the show and had traveled to both England and Russia, for pro fights. 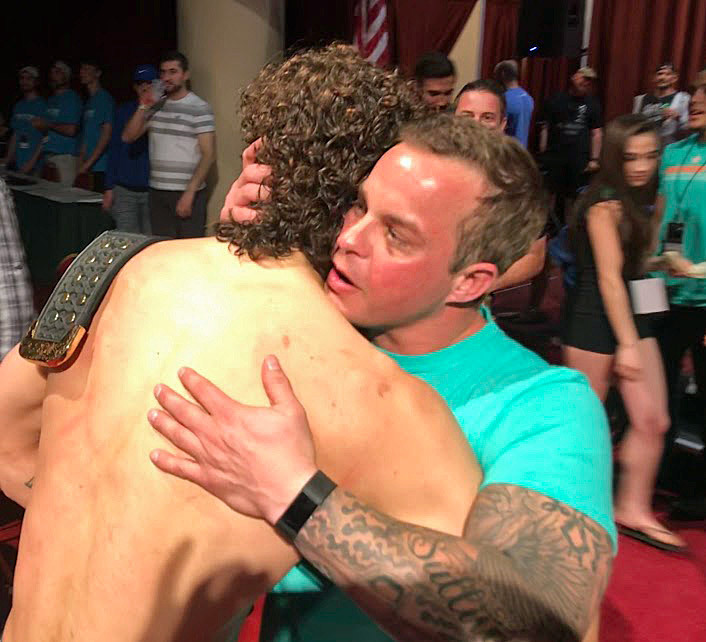 In fact, in a fight that took place in Russia, Alex dominated his opponent for 3 rounds before putting him to sleep via Ninja Choke, which earned him the “Submission of the Night” bonus at that event. Well, Josh was right about everything. So it’s no surprise that Chosen Few MMA Gym’s Alex Gilpin will be fighting on Tuesday, August 7, 2018 on the UFC Contender Series. The Dana White production focuses on finding the next UFC talent, and Alex is one of the featured fighters. The continued support of the sponsors continues to follow the clear vision that Josh sets. CFFC 15 is their next event and it will take place on September 22 in Madison. It will host a number of high-level fights and will get the attention it deserves now that it delivers results for the community.